Alpaca births are usually problem free and take about 15-30 minutes from start to finish. We have described many times on our website the after birth process in which the cria immediately works to sit up (usually within 15-30 minutes), stand up (usually within 30-60 minutes), then start nursing successfully (within the first 1-4 hours). Alpacas are livestock, though, and like all livestock occasionally have difficulties after birth. This post will be about what happened when things did not go as well as they usually do. 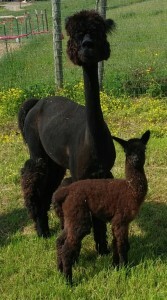 Black Ice was birth number 62 for our farm, and was our first night time birth. Normally, alpacas are particularly thoughtful livestock and give birth between 9 in the morning and 2 in the afternoon (occasionally they stretch it to between 8am-3pm). Among all our births, we’ve only had a couple alpacas born in the early morning before their ‘official’ start time. We have previously never had a night time birth. Saturday May 17, though, that changed for us with the birth of Black Ice. 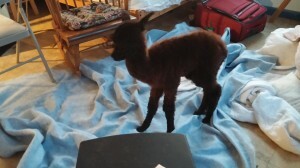 We had been expecting this cria for awhile as May was already at day 366 in her pregnancy (alpaca gestation is normally between 335 and 355 days). We had noticed May was acting like she might be in early labor during the afternoon, so were keeping a close eye on her, though we really expected her to deliver the next day. In one of our trips to the pasture after dark, Mike noticed an odd black lump in the pasture and went out to find a very cold and limp cria. 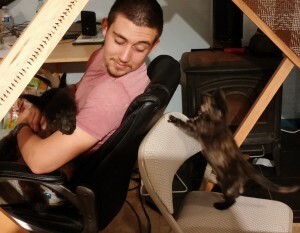 The whole family ran out to help. Linda grabbed towels and blankets. I wrapped the cria in a blanket and rushed it to the barn while Mike and David haltered a very confused May and brought her along behind. Our listless cria weighed just 10 pounds*, and was too cold, too wet, and barely active or breathing. 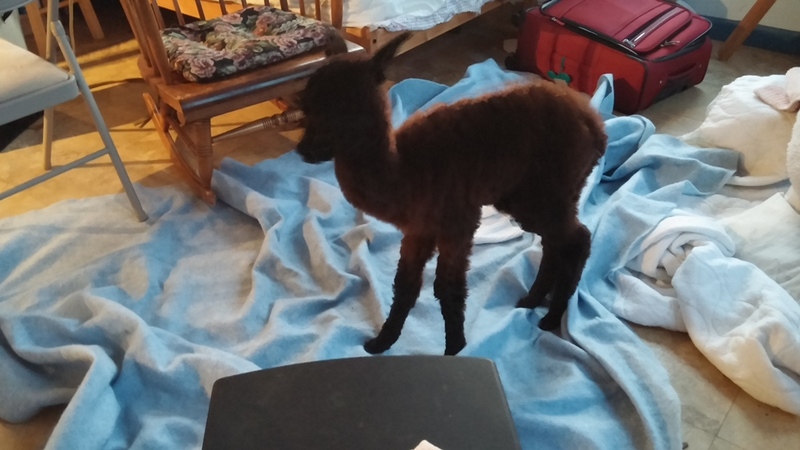 We followed our normal procedures for a cria born on a cold day and dried with towels and a blowdryer as well as putting a little Karo syrup on his gums to give him some quick energy and took his temperature. Two different thermometers registered ‘low’ rather than giving us a reading, so we were afraid they were both broken. 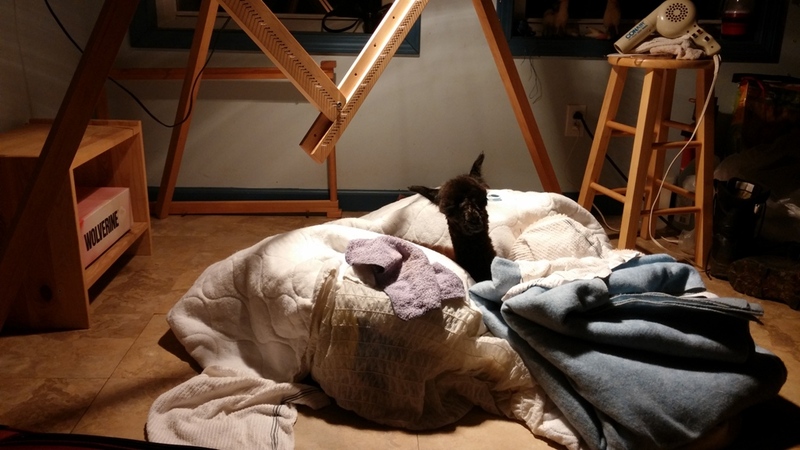 By then, I had decided that I did not have a chance of getting the cria dry and warm in the barn with the outside temperature around 35 degrees. I apologized to May for taking her cria, but knew we had to get him in the house and warm in order to save him. 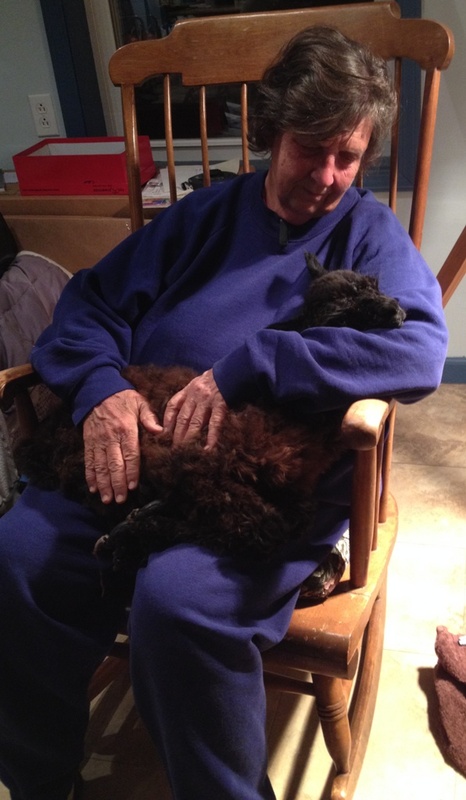 David had been able to express a little colostrum from May, which we gave to the cria. He was still very limp and not responding much, so we used a 3cc syringe and slowly gave him the milk, allowing it to drip down his throat, watching for him to swallow. I continued to give him a little milk at a time throughout the night. It is important for alpacas to cush upright in order to breath properly, which is why they sleep with their legs tucked under them at night. You will see alpacas sunbathing on their side during a warm, sunny day, but usually not for a long period of time. Our little cria did not have the strength to do so at first, so initially someone held him with his head on her or his shoulder. After we got his temperature higher and him slightly stronger, we rigged up a bed for him under the heat lamp. We propped him between two cases of water and placed a rolled blanket in front of him to keep his head propped up. This worked well until about 2 a.m. when he decided he was ready to get up and find his mom. I spent the next few hours until sunrise trying to keep him from falling all over the house (next time I’ll put less slippery floors in the house). 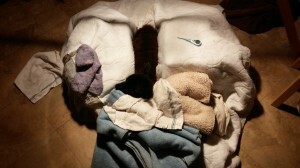 We quickly bundled him up in two alpaca cria coats and put him in the barn with his very-happy-to-see-him mama. He was ready to nurse and snuggle with her. Over the next few days we kept a close eye on little Black Ice and May. May did not appear to have sufficient milk at first, which may have been related to the fact that Black Ice appeared to be dysmature. *** We continued to supplement his feeding and weighed Black Ice twice a day to see how he was gaining weight. We wanted to make sure he was getting enough milk from us that would allow him to continue growing but still be hungry enough to nurse and stimulate milk production in May. Apparently we struck the right balance as within three days we cut back to no feedings and continued to see his weight increase at 0.2 and 0.4 pounds a day. Our little Black Ice is now 1 week old and 12.6 pounds (he had dropped to 9.4 pounds the day after he was born). He is very active, and behaving like any other normal alpaca cria. We are still keeping a very close eye on him as he may have some challenges ahead due to his rough start, but feel very hopeful that he will continue to grow and thrive. * Alpaca crias normally weigh 14-18 pounds. Most of our crias have weighed over 16 pounds. 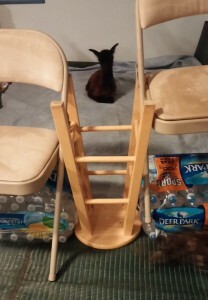 We have never had a cria anywhere near this small. 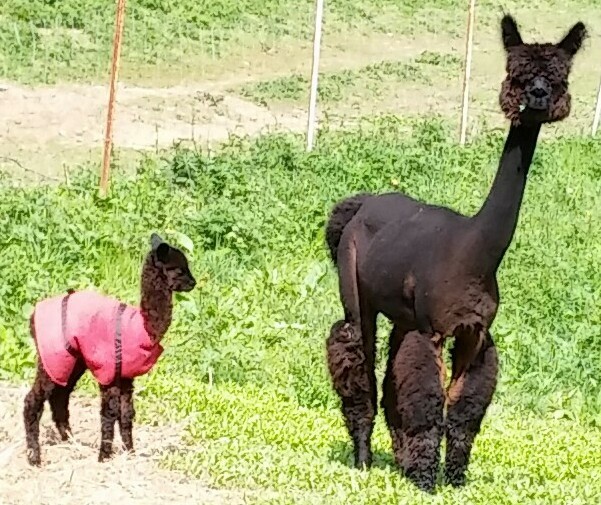 ** Normal alpaca temperature should be 100 to 102* F.
*** A dysmature alpaca cria exhibits the signs of being premature despite being born at full term.